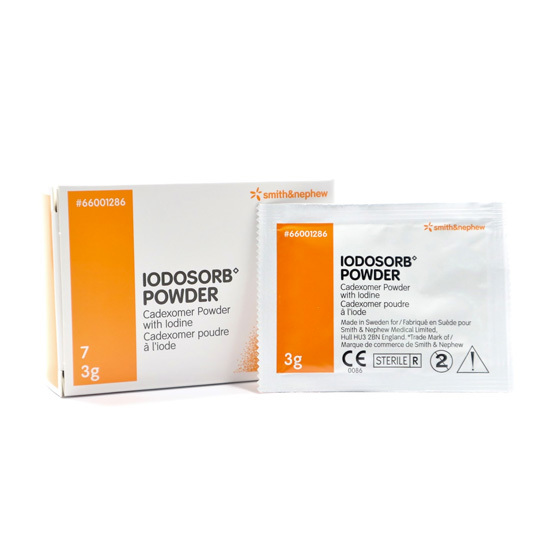 Iodosorb is used for the treatment of chronic exuding wounds such as leg ulcers, pressure ulcers and diabetic ulcers, particularly when infection is present or suspected. Iodosorb may also be used on infected wounds, it should be inspected and treated as per local clinical protocol. 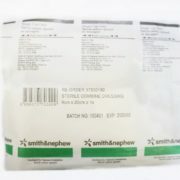 Iodosorb Powder should not be used on dry necrotic tissue, or on patients with a known sensitivity to iodine or any of the other components. Not to use on children, pregnant or lactating women or people with renal impairment or thyroid disorders (e.g. Hashimoto’s thyroiditis or non-toxic nodular goiter).